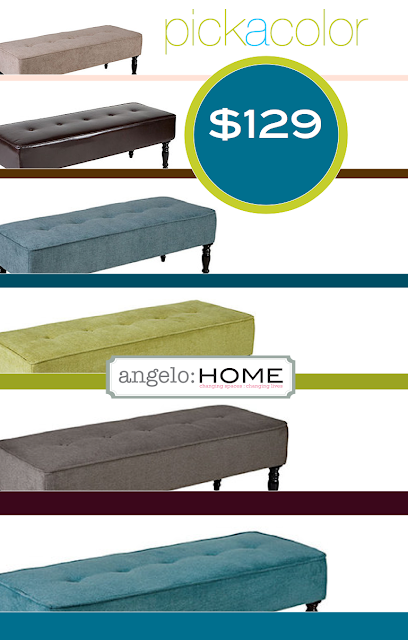 Introducing the NEW angelo:HOME Brighton Hill Bench Ottoman. It can be used as extra seating, a coffee table, perfect for the end of a bed, OR go wild and just put your feet up. Measuring at 48"L, 17"D and 17"H, however it's used--it will add style and character to any room.